Talks are under way at the Labour Court between nursing unions and health service management in a bid to stave off Wednesday’s 24-hour strike. It is understood that the invitation for the talks was issued by Chairman of the Labour Court Kevin Foley. However, as yet there is no sign of a breakthrough or comprise, and thousands of patients have already had operations, procedures and outpatient appointments cancelled. More than 35,000 nurses are expected to strike in a dispute over pay and staff shortages. The 24-hour industrial action is planned to take place at all public hospitals, healthcare facilities and community healthcare services from 8am on Wednesday until 8am on Thursday morning. 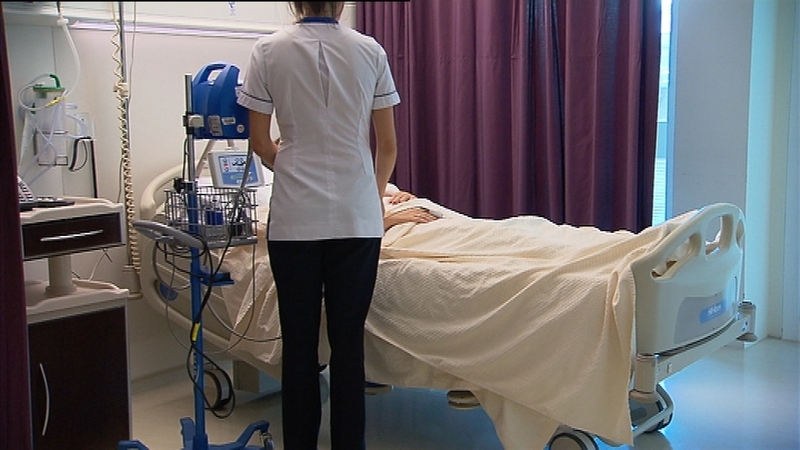 The nurses are protesting over pay and “a recruitment and retention issue” in the profession. It is expected that the parties attending include the nursing unions, the Health Service Executive, the Department of Health, the Department of Public Expenditure and Reform and the Irish Congress of Trade Unions. The Minster for Finance, Public Expenditure and Reform has reiterated that the Government cannot agree to any pay changes for nurses that would cause the public service collective wage agreement to unravel. Paschal Donohoe said that the Government has a collective wage agreement with every single one of its public servants, and had made commitments to them about the money that would be available to fund changes in their wages between 2018 and 2020. He recalled that just over two years ago, they had gone through a similar experience with An Garda Síochána, noting that within a day of that issue ultimately being resolved via the Labour Court, they had wage demands from across the public service which ultimately required further funding to be made available. He said the cost this time round would be even higher. The Irish Patients’ Association has welcomed the news that the INMO and other parties have accepted an invitation to talks at the Labour Court this afternoon. Stephen McMahon said he hoped this would result in a resolution to the issues and that the strike could be averted. Earlier, the Irish Association for Emergency Medicine (IAEM) warned that patient care will inevitably be compromised, if there are not the necessary numbers of nursing staff available on Wednesday during the planned strike. President of the association Dr Emily O’Connor said that normal nursing staff levels are required in Emergency Departments to be able to deal safely with patients attending. She said this will be particularly the case as alternative services such as injury units will be closed. Around 3,500 patients attend Emergency Departments each day. While Emergency Departments will be open, the HSE is urging people not to go there unless it is absolutely essential. The IAEM said it wrote to the HSE and the INMO last Friday to express these concerns about patient safety and the imperative that adequate numbers of nursing staff are made available. It said it also recognised the crucially important role that Emergency Department nursing staff play in the provision of care, that simply cannot be provided in their absence. Meanwhile, the HSE has warned that it is proceeding on the basis that the strike will go ahead. Speaking on RTÉ’s News at One, HSE Chief Clinical Officer Dr Colm Henry said that even if the strike were to be called off, there would still be some disruption for patients, as it would not be possible to reinstate thousands of outpatient appointments and procedures which have now been cancelled. He warned that Wednesday will not be a normal day, as the industrial action involves an actual strike rather than a work to rule. Dr Henry said the HSE was working closely with hospitals and community care delivery organisations on contingency arrangements, as well as seeking exemptions from the INMO for cover in key areas of critical need including urgent cancer services, dialysis and palliative care. He said that patients who had experienced cancellations will be reprioritised as soon as possible. Asked about the impact on Emergency Departments, Dr Henry said that they were going to see exceptional pressures, as access to other urgent emergency care in the community was closed off. He urged people only to come to Emergency Departments if absolutely necessary. Asked about the impact on in-patients in hospitals, and whether patients’ families could be of assistance, Dr Henry that while they could help, the HSE could not presume that families can replace skilled professional nurses. Category HSE | Tag dispute, nurses strike, patient safety | Bookmark the permalink.